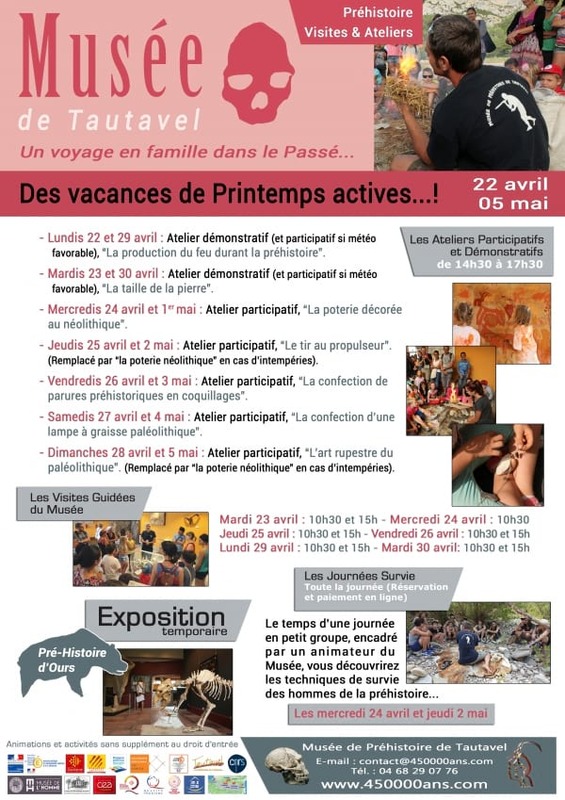 Open every day, the Tautavel museum offers a variety of educational and fun events throughout the school holidays. Discover the permanent exhibitions on our prehistoric ancestors and take part in interactive workshops (programme below) for no extra cost. 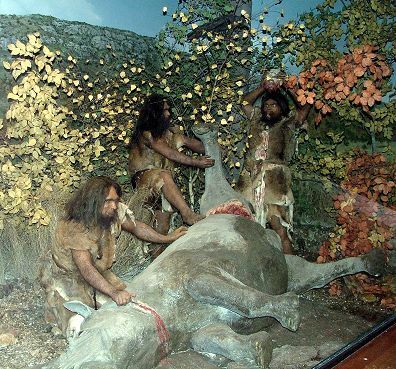 Discover how to make fire, hunt mammoths or make pottery like our prehistoric ancestors. Why not combine a visit to the museum with wine tasting and/or lunch in a local restaurant? With an interactive workshop every afternoon (2.30pm – 5.30pm) during the holidays, the kids can go wild, for no extra charge! Don’t miss Survival Day on Wednesday 24th April and Thursday 2nd May when you can learn techniques and methods used by our ancestors in their daily struggle to survive. You can also take the guided museum tour (in English, Dutch, German, French, Spanish or Catalan!) to really make the most of your visit. And you can get reduced entry by booking your tickets online here! ‘Vide-grenier’ litterally translates as ‘empty your attic, whilst a ‘braderie’, similar idea to a vide grenier, comes from the word “brader” meaning to sell at very low prices.